Two diy’s in one week? Crazy! I’m on a roll. 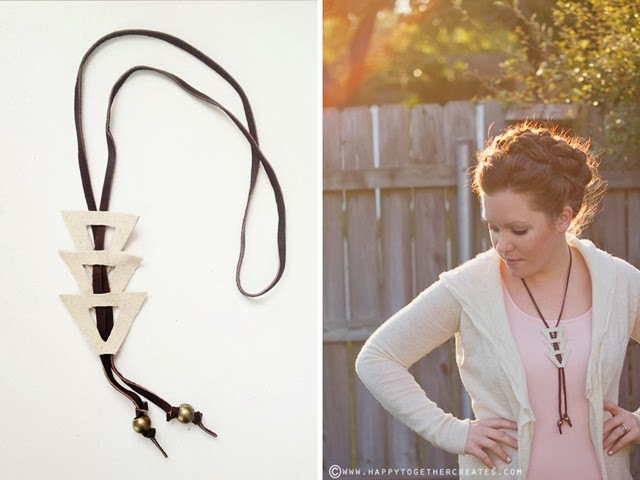 I was inspired to create this necklace after spotting this gorgeous one from Anthropologie in an ad. I was just going to buy that one and then I looked it up and it’s made using legit materials, making it a bit (okay a lot) out of my price range. I thought it would be a fun diy and I could use scrap leather pieces I had already. 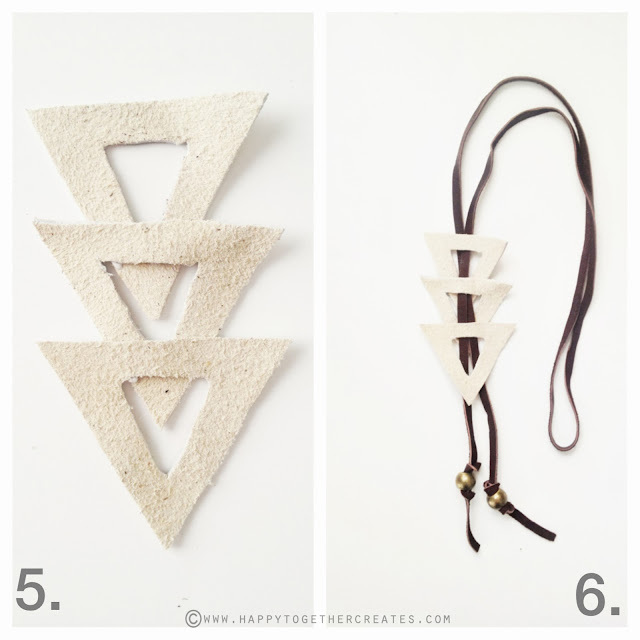 To make one yourself, you will need some scrap leather (or other stiff non fraying material if you aren’t down with using leather, like felt even), 42″ of something for the cord (I used a leather cord), 2 beads of choice, glue, scissors, and the triangle template which can be downloaded here. 1. 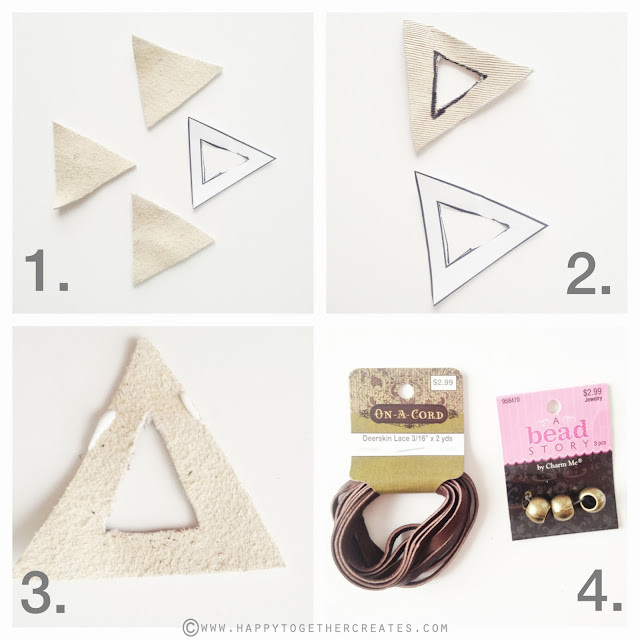 Cut out three whole triangles from the leather. 2. Cut out the middle triangle of those three pieces. I traced the shape on the back to make it easy to cut out. 3. Dab a little bit of glue on the very edge of the point of the triangle sides. 5. Place a triangle on top of the other one, points going in the same direction. Repeat number 3 on the second triangle and add on the last piece. Allow glue to dry. 6. Thread cording of choice through the triangles. There should be just enough room to get it through and tight enough to keep it in place. 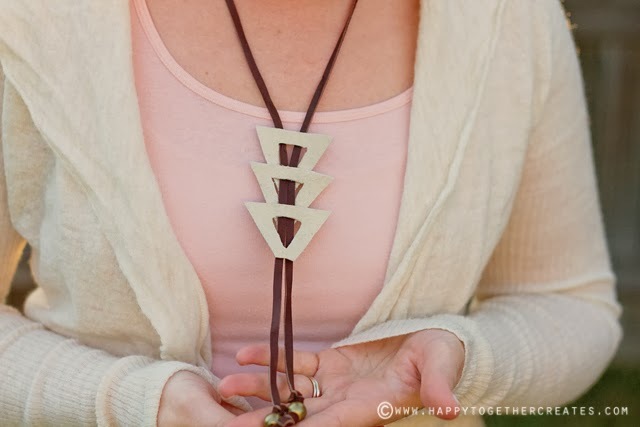 Tie on the beads at the bottom. Then if you want, you can chop off the tips of the triangles like I did in the very top picture. All done! 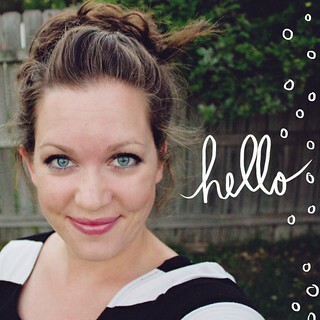 Cute and easy accessory for the win.